In celebration of American Indian Heritage Month and in honor of the 5.2 million Native Americans living in the U.S., we encourage you to join us in our reflection of the Native tribes and cultures that first inhabited our country. PWNA is proud to be celebrating Native culture, honoring Native history and exploring everyday realities of life on the reservations. One of the greatest gifts you can give is to learn more about Native American people and their history, culture and contributions. Visit this page daily for wisdom from the Elders, and the real story of the first Thanksgiving. Participate in our calls to action, get your friends involved, and be entered for a chance to win books and DVDs on Native American history and culture. Links will be revealed on the day of the action. Sign up today (right) for email reminders each business day of what’s ahead. #MondayMotivation: Visit www.PWNA4hope.org to find our featured blog topic. Read it, register on the blog and leave a comment, and you’ll be automatically entered for the Monday giveaway. Comments left via Facebook do not qualify. #WednesdayWisdom: SHARE this post on Facebook and be automatically entered for a chance to win the Wednesday giveaway: [ Give a Thanksgiving meal for an Elder and learn about the real first Thanksgiving. #PWNA4Heritage Month www.PWNA4hope.org ] OR go to the posted giveaway page and enter your name and email address. #TGIF: Check our Facebook page each Friday, and on Thanksgiving Day, to see if you won a giveaway! Be sure to check out our shareable content below the event calendar! Read our blog post announcing Heritage Month recognition, our giveaways, stories to come and downloads. Download a story on heritage shared by an American Indian Elder. #TGIF: Congratulations to the winner for this week’s #WednesdayWisdom giveaway. Please check our Facebook page for the announcement of the winner's name! 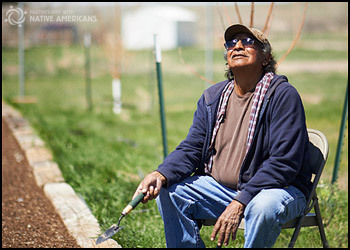 Give back with a Thanksgiving meal for a Native American Elder. #MondayMotivation: Read “Always Remember,” register on the blog and leave a comment. Download the story of the first Thanksgiving. Read our blog post about the real story of the first Thanksgiving. Read the story on history shared by a Native Elder. #TGIF: Congratulations to the winner for this week’s #MondayMotivation and #WednesdayWisdom giveaways. Please check our Facebook page for the announcement of the winner's name! #MondayMotivation: Read “The Revenant,” register and leave a comment. Download the story of after the first Thanksgiving. Read our blog post about the real story of after the first Thanksgiving. Enter our #WednesdayWisdom giveaway: “Squanto’s Journey” (book) about the first Native American to help those in Plymouth Colony. Buy a Heritage Month t-shirt to honor Native culture and history year-round. #MondayMotivation: Read “You Wanted to Know,” register and leave a comment. Read a blog story on an Elder’s Thanksgiving story. Enter our #WednesdayWisdom giveaway: “Standing Bear’s Footsteps” (DVD) on a milestone in social justice for the tribes. THANK YOU FOR PARTICIPATING IN AMERICAN INDIAN HERITAGE MONTH!! Check our Facebook page tomorrow to see if you're the grand prize winner! Grand prize winner announced for Monday, and giveaway winner announced for Wednesday on our Facebook page.